"Fundamentals of Collection Development and Management, Fourth Edition"
"Management Basics for Information Professionals, Third Edition"
the future of academic librarianship. Evans, PhD, is a semi-retired, award-winning author and Fulbright Scholar. He holds several graduate degrees in anthropology and library and information science (LIS). Throughout his career, he has been an administrator, researcher, teacher, and writer. As a researcher, he has published in both anthropology and librarianship. He has extensive administrative experience in private academic libraries such as Harvard University and Loyola Marymount University. 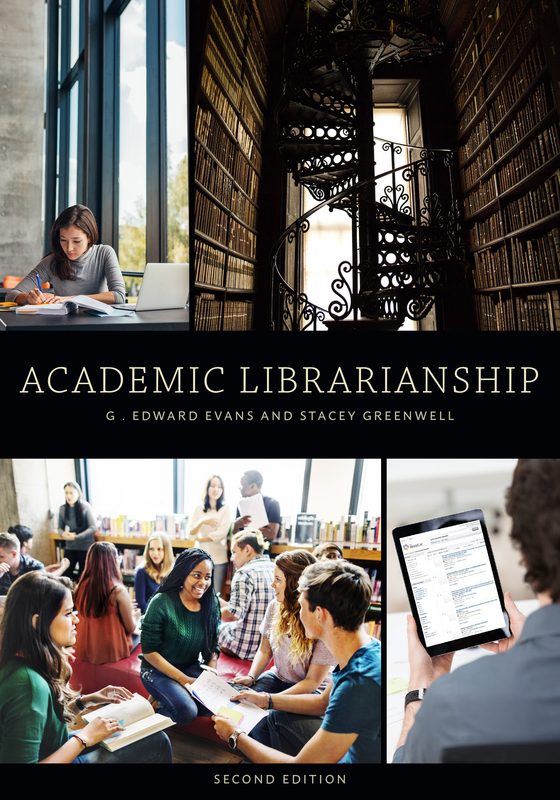 Greenwell, EdD, has served the University of Kentucky Libraries since 2001 in several roles, including associate dean for academic affairs and research, head of the Information Commons, and head of Desktop Support. Recently she began working with the information literacy and assessment department to provide instructional design support, teach, and work on research projects. Dr. Greenwell is a Fellow of the Special Libraries Association and has held numerous leadership roles in the organization including chair of the Information Technology Division and founding chair of the Academic Division. She is a standing committee member for the Education and Training Section of the International Federation of Library Associations and Institutions (IFLA) and is a standing member of the Programme Committee for the European Conference on Information Literacy (ECIL). She is a frequent conference presenter and has taught an academic libraries course for the iSchools at Syracuse University and the University of Kentucky.